This iconic shoe from Martiniano became one the most talked about shoe model in summer 2014. Ever since glove shoe has became a cult must-have shoe world wide. The minimalistic design in Martiniano glove shoes unites together timeless elegance with comfort and ease. 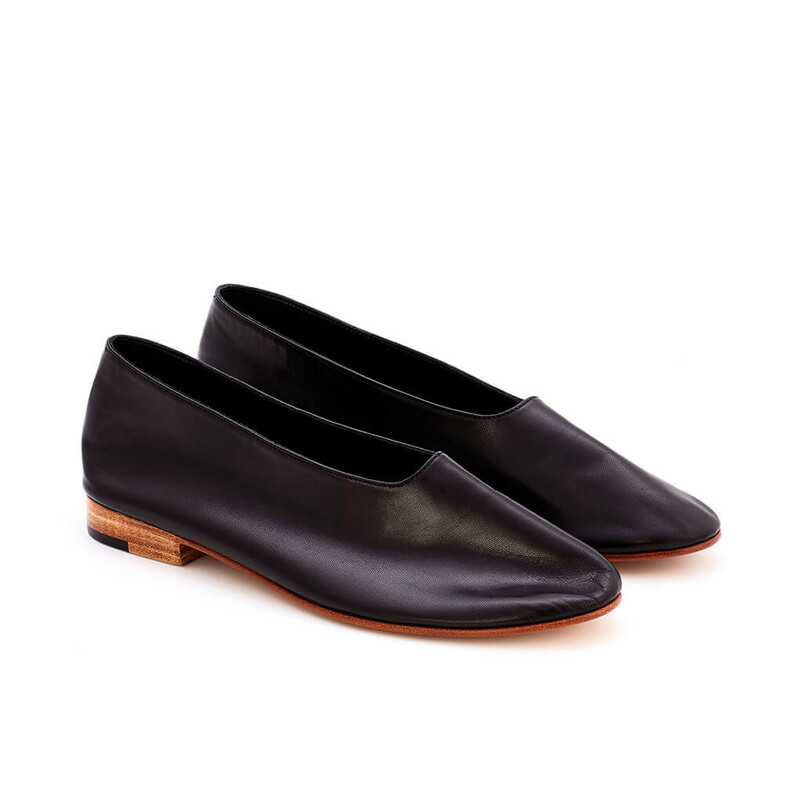 The shoe is made from super soft 100% kid leather with a flexible fit and semi shine. The shoe is unlined with natural suede interior for added breathability, comfort and touch of luxury. Natural leather sole for sophisticated finishing touch. Due to nature of the soft aniline goat leather, the cha. Read more.. This iconic shoe from Martiniano became one the most talked about shoe model in summer 2014. Ever since glove shoe has became a cult must-have shoe world wide. The minimalistic design in Martiniano glove shoes unites together timeless elegance with comfort and ease. 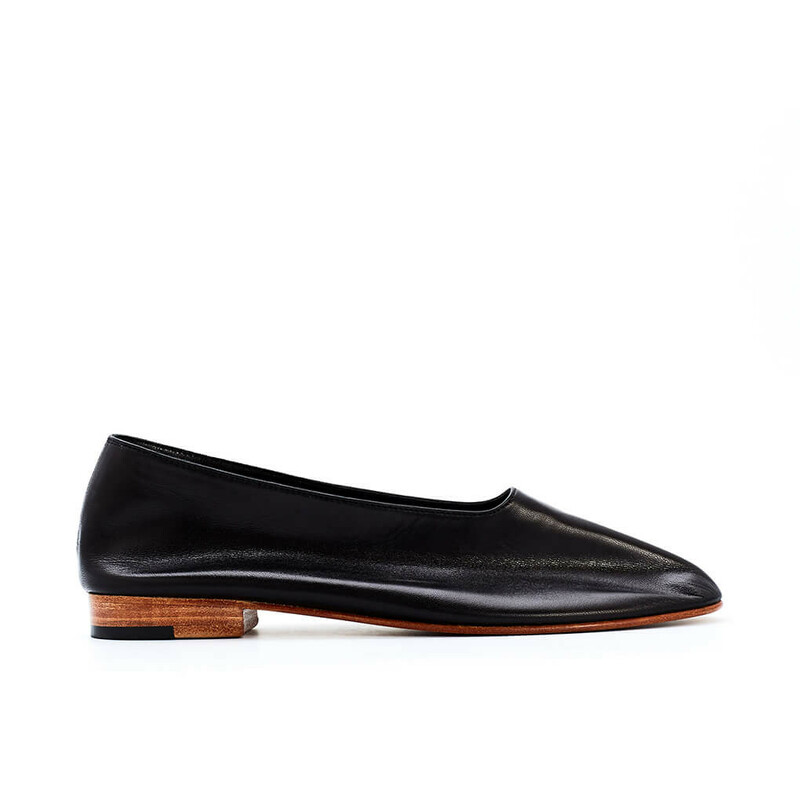 The shoe is made from super soft 100% kid leather with a flexible fit and semi shine. The shoe is unlined with natural suede interior for added breathability, comfort and touch of luxury. Natural leather sole for sophisticated finishing touch. Due to nature of the soft aniline goat leather, the characteristic form is defined by the natural curves of the wearer's feet. This elegant ballet-like look is inspired by the traditional South-American loafers and form-fitting dance shoes. 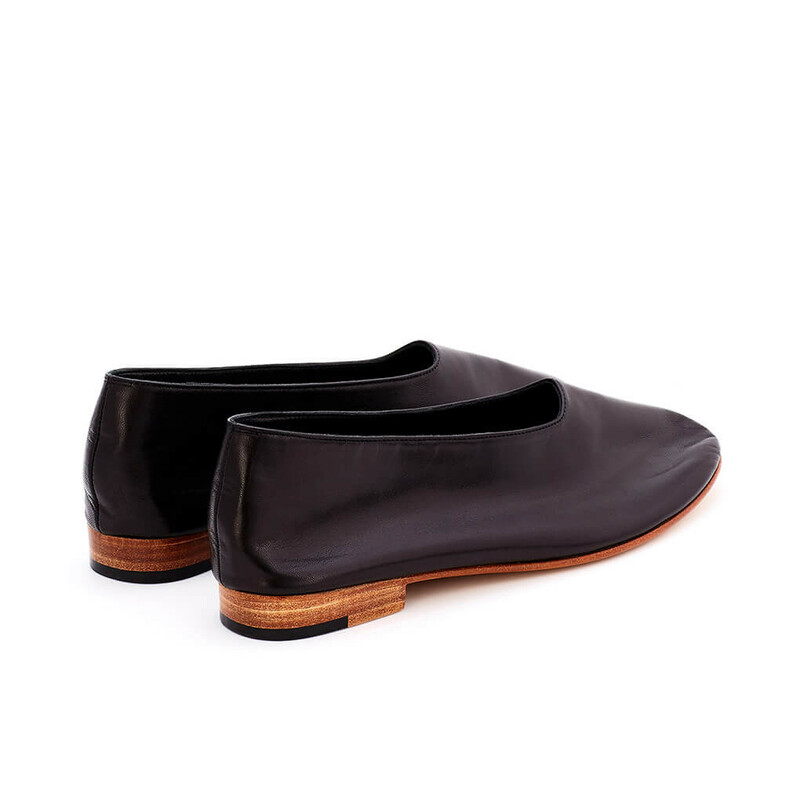 Furthermore, the minimal understated aesthetics of Martiniano shoes adheres to the Japanese philosophy of  wabi-sabi, a practice that embraces natural materials and forms - and their imperfections. FYI. This shoes runs slightly big in size. 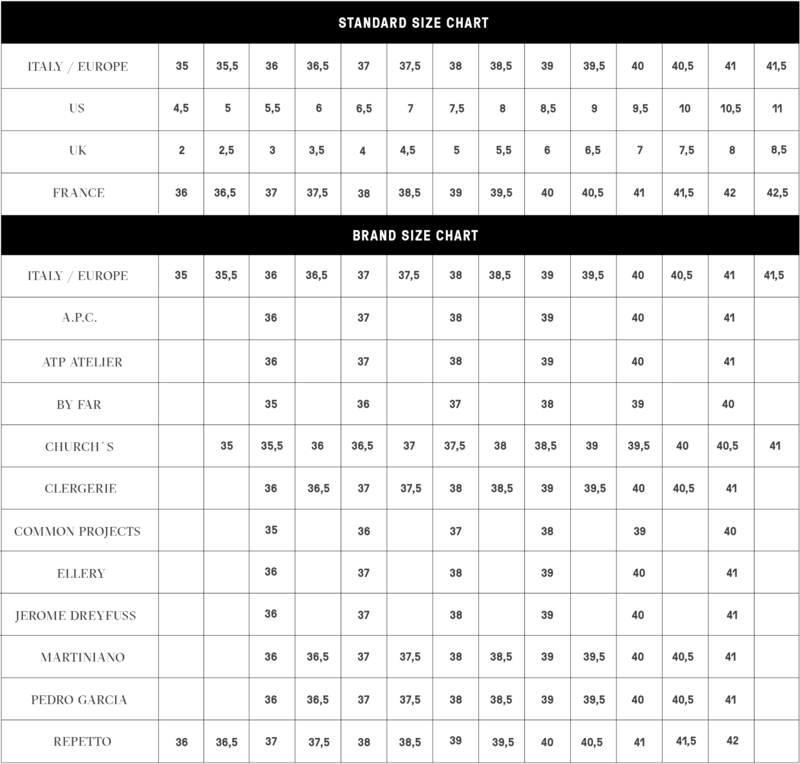 Please take a half size smaller than your regular Italian / European size. Shoe fits snug initially and will stretch out with wear. 1 x Glove Shoes Black was added to your shopping bag. 1 x Glove Shoes Black was added to your wishlist.